This brown cat with big green eyes is resting, contemplating a leisurely nap. Created in miniature, this cat painting in acrylic and ink is ACEO sized, 2.5 X 3.5 inches. With ACEO (Art Cards, Editions and Originals) also known as ATC (Artist's Trading Cards), the only rule is size - subject matter and medium are the artist's choice. 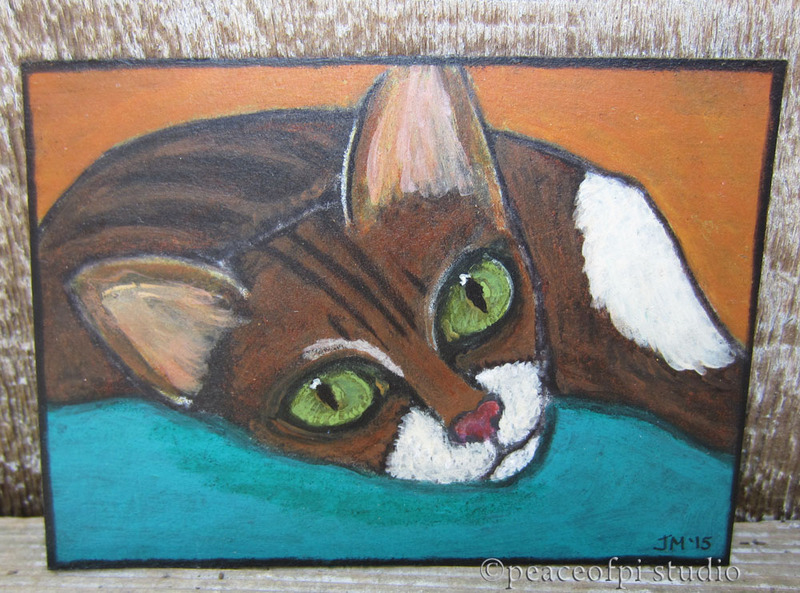 This furry friend is part of a series of cats painted in this small format. Meow.